Little Crater Lake is easily accessible by a short 1/4 mile path. And man, oh man, is it gorgeous! 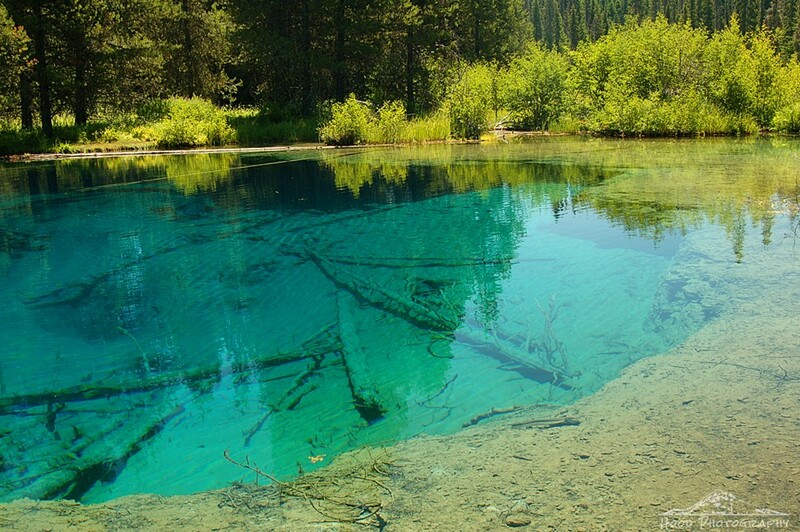 The water is soooo crystal clear, and the color of it is amazing. My favorite feature (besides the color, of course) are the large fallen trees sitting at the bottom of the lake, some 45 feet deep. According to the Mt Hood National Forest website, the lake is considered a geologic oddity, possibly created by artesian water forcing its way through the soft volcanic rock, creating a "blowhole." Nice colors. You got a great photo! Yeah, I love this place! How can something so deep be so clear! Wow it is extraordinarily beautiful. Wow - this color is amazing!!! This is extraordinary place. It's very beautiful and yes the water is so crystal clear we can see the bottom of it, love it! An amazing, luminous blue! An exquisite scene! Very lovely! The crystal clear lake water is awesome. Wow! That water is so clear! Sister's got a place on the Columbia @ HR. Took a trip to Crater Lake a few years ago with her. Stayed at rustic cabins nearby. Quite cool.